Has your kid ever come home from practice or a game with a phone that looked like this? 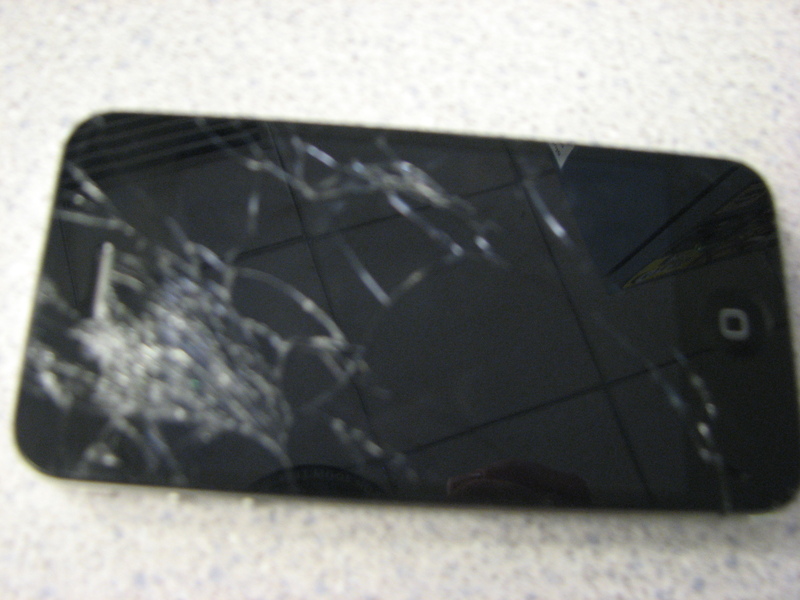 After a couple smashed sunglasses and cracked iPod and cellphone screens, I started to wonder what the heck was going on. Turns out, the kids throw their equipment bags on the floor or ground at practice, just like they do at home. And then, just like at home, other kids step on them. Go figure. Obviously, this could not be allowed to continue. After some trial and error, we can up with a pretty good, and pretty cheap solution. 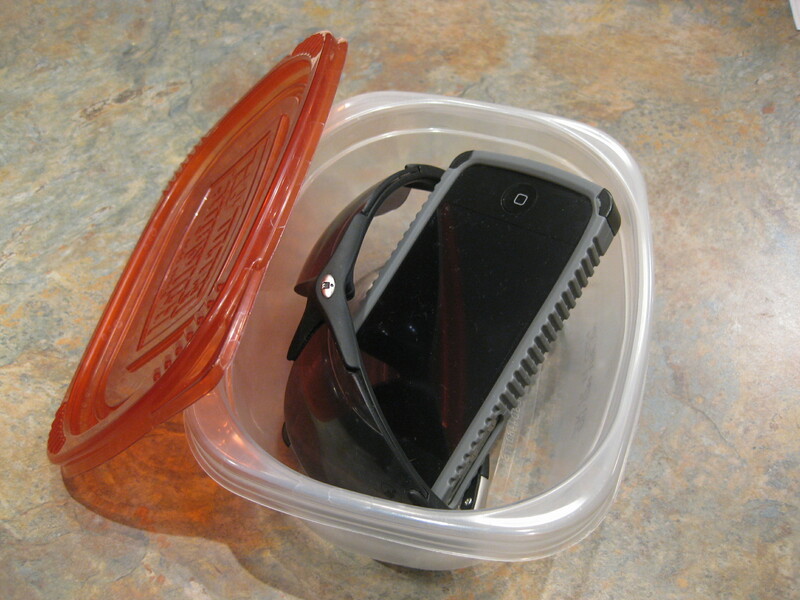 We took an empty lunch meat tub and washed it out, then put the cellphone and sunglasses in it and snapped the top on. Lo and behold–a protective case! A pretty good, pretty cheap solution. It’s big enough to hold all the stuff, yet lightweight and fits in a baseball bag. It’s also fairly watertight. And when it gets stepped on, it may crack but, so far, the contents have been fine. We just replace the tub with another one and carry on. I’ve thought about lining it with bubble wrap or some leftover packaging materials but haven’t tried that yet. If you want to make it really secure, a wrap of hockey tape would do it. I like the recycled aspect of this solution, and the cheap part as well. And the fact that I’m not at the Verizon store as frequently. Putting that one in the win column.